SIOUX CITY, IA—Dismayed by the apparent impossibility of finding a nice place to sit for a second without causing a huge commotion, western honey bee HBW/A395-630-G6 reportedly wished Monday that it could hang around its traditional resting place, an open soda can, without people totally freaking out. “Jesus Christ, everyone! Calm down. I’m just minding my own business. I’m not going to hurt anyone. I’m just tired. I’ll be on my way in a minute, okay?” said the bee, expressing annoyance that despite never having stung a soul, it was still treated like some sort of monster every time it hovered innocently above a picnic table. “Oh, you know someone who got stung once, and now you’re afraid of every single bee? Christ, grow up. 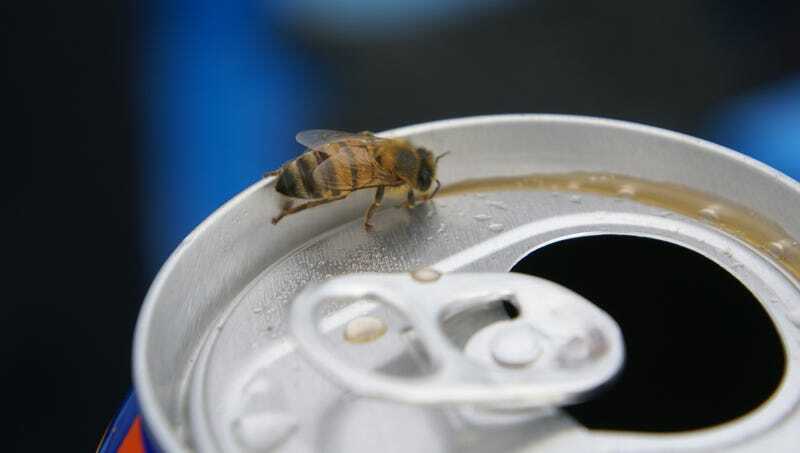 Frankly, you’re on my turf right now—if you didn’t want to be around any bees ever in your whole life, you should’ve just stayed inside.” The bee added that the presence of honey barbecue chips next to the open soda can was just insult on top of injury.